Chinese smartphone vendor is gearing up for its public flotation later this year. 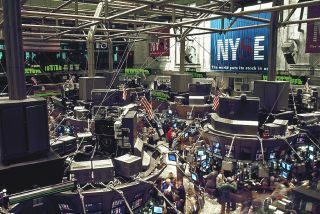 According to the Financial Times, the company has selected Goldman Sachs and Morgan Stanley to lead the IPO. There is some speculation that the company is looking to go public in Hong Kong, although the FT quotes analysts who believe that a New York flotation is more likely. Xiaomi has been rumoured to be heading for an IPO, ever since it recorded a stellar financial performance last year. In January, it was announced that the company had posted a 76% rise in smartphone production, thanks to its improved distribution channels and increased sales overseas. The company is believed to be looking for a company valuation of at least $50 billion, although some executives are believed to be looking at the possibility of reaching twice that. If the IPO did reach this figure it would be, according to the FT, the sixth largest company on the Hong Kong stock exchange. It would certainly offer a major revaluation of the company. The last sales offering for the company, three years ago, valued the company at $45 billion. The company is not commenting on any speculation on its future IPO.